Save Lives In Your Community: Donate Blood! Recently, a bleeding patient rushed to a nearby hospital received a diagnosis of esophageal varices, a life-threatening condition. The patient, needing blood and blood components immediately as part of the emergency treatment to stop the heavy bleeding, was given multiple units of blood, plasma and platelets. Because the blood was readily available, the patient’s condition stabilized. But, blood and blood products were not always so readily available to hospitals in the Delmarva region working to save the lives of their patients. In 1954, a prominent Wilmington businessman’s wife needed 26 blood transfusions during and after surgery to keep her alive. She had two options at the time: pay the $1,000 bill for the blood or provide two volunteer donors to replace each pint of blood used. 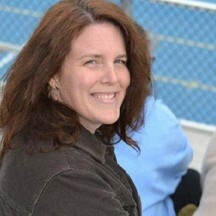 Her husband secured the 52 donors, but he pressed for a better system. The blood supply problem posed crucial problems; “scrambling for donors” meant gambling with lives. Discussions with other community leaders led to the creation of what would become the Blood Bank of Delmarva (BBD). For more than 60 years, BBD has provided much-needed blood and blood components to area hospitals, helping to avoid blood shortages and saving thousands of lives with assistance from more than 150,000 current donor members. What began as a scheduling agency in a small business office has grown into a best in class blood bank handling not only donor scheduling but also collection, testing and distribution of blood and blood products to hospitals on the Delmarva Peninsula and beyond. More than 20,000 patients a year receive transfusions at hospitals BBD serves, from accident victims to cancer patients, surgical patients to premature babies, and more. To maintain the blood supply for both scheduled procedures and emergencies, BBD needs 350 donors a day total at donor centers in Newark, Wilmington and Dover, Del. ; Salisbury, Md. 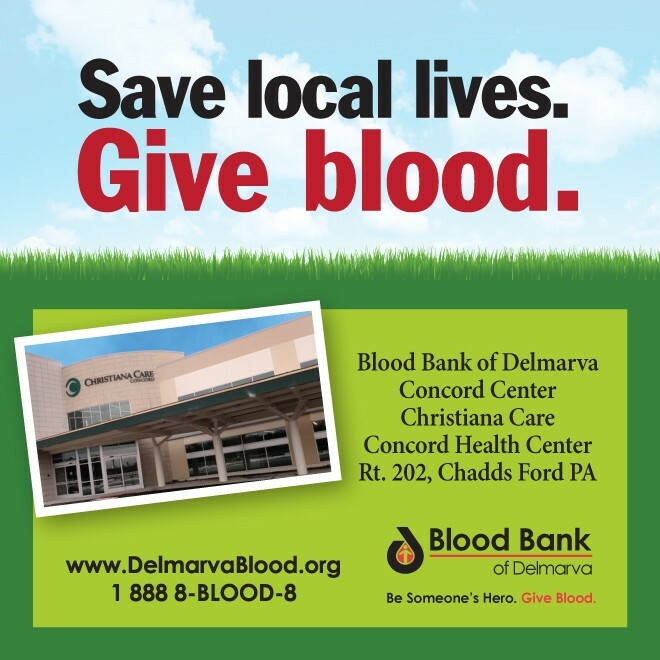 ; and Concord, Pa.; and more than 30 mobile donor sites throughout the Delmarva region. In addition to these permanent and mobile sites, 75 high schools and colleges participated in 139 school drives during the 2013 – 2014 school year, culminating in 8,227 donations from young donors. As an added benefit to giving blood, donors receive a mini health screening with each donation. BBD checks and records blood pressure and hemoglobin levels, and offers a glucose screening so donors can check their blood sugar level and seek appropriate treatment if needed. “We were the first blood bank in the nation to offer free glucose screenings to donors, and we’ve been doing it for over 10 years now,” Waite said. Member donors may also enjoy prescription drug discounts at participating pharmacies and redeem items from BBD’s online Rewards Store. Once blood is collected, BBD performs 12 tests on each single donation to ensure its safety and quality for patients. More than 100,000 products can be created out of 80,000 donations per year. “Thousands of people would not be alive today if not for blood donors,” Waite added. By donating blood at BBD, you save lives in your community – maybe the life of someone you know. Blood collected, processed and tested at BBD is delivered directly to hospitals serving patients in our communities. To learn more or to schedule a donation appointment, call 1 888 8-BLOOD-8 or go to www.DelmarvaBlood.org. Scheduling Is Easy! Download Our New App!